Disney Inspired Maleficent Shirt. Made with sparkly Glitter that will not fall off shirt like many other glitter shirts. 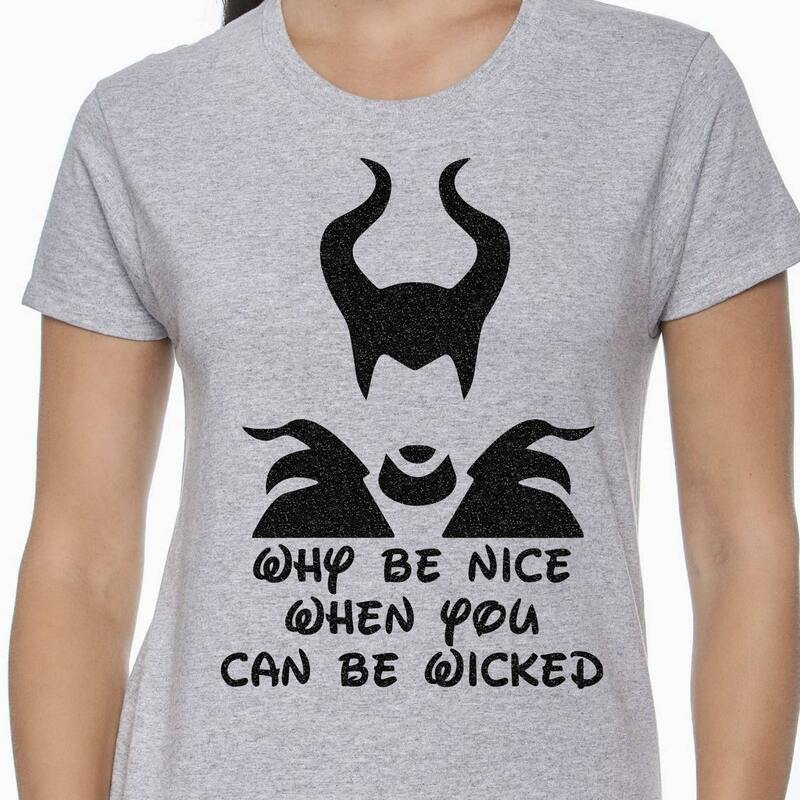 This makes a great gift for anyone that Loves Maleficent or just a regular Fan. For both for Ladies or Girls. Works great with many themes like Disney Descendant, Snow White, or even be a villain to a princess party! Why be a princess when you can be a queen! Please wash inside out and dry on low heat. I purchased this in purple and its so dark its hard to see and read the lettering and picture. I suggest a different color, it did arrive quickly. Quick turn around!! Absolutely love it!! My villain obsessed daughter thinks it’s the best shirt in her collection! !